My last day in the Windy City, so I sought out a bagel shop close to the hotel. 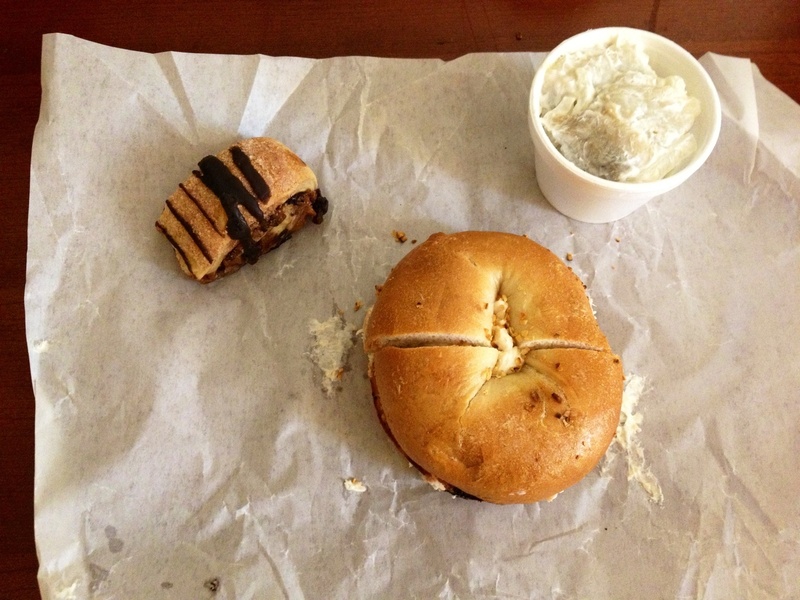 Couldn’t believe it, bagel with lox spread, creamed herring and chocolate rugelach. This would make my Grandmother proud.